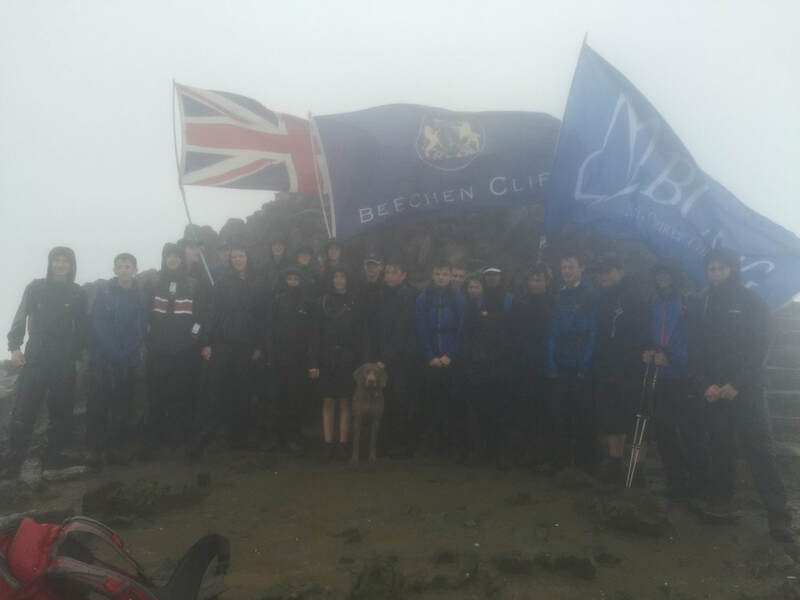 The Beechen Cliff Three Peaks Challenge is one of the many endurance challenges offered to students. It involves the ascent of the three highest mountains in Scotland, Wales and England, without undue stopping for rest or sustenance. It takes place over a three and a half day period that includes: one day travel to the first mountain and half a day from the last mountain to home. In all there are over 1200 miles of driving, over 3000 meters of ascent, and the distance walked will exceed an Olympic marathon. 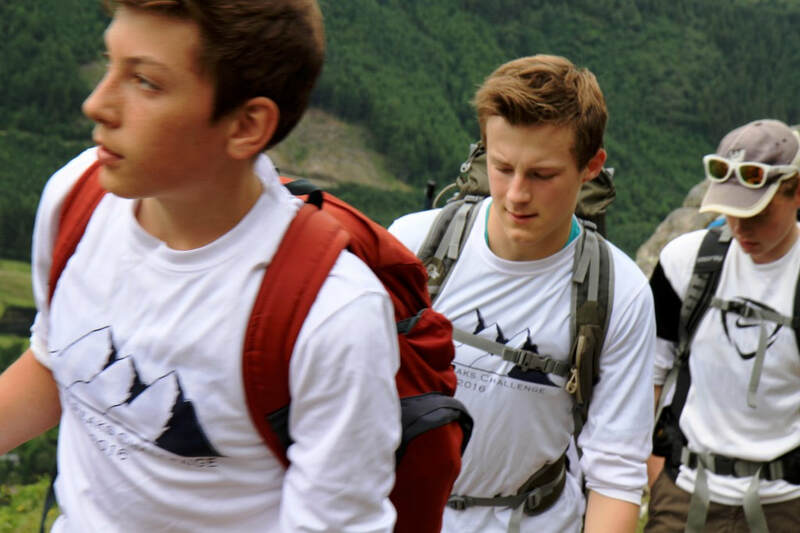 Whilst it is a challenge that will test the ‘metal’ of all participants, it is a group activity and team work is vital if the challenge is to be completed in the true spirit of adventure. 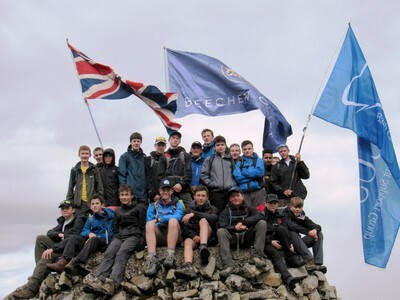 Beechen Cliff still remains one of the few schools in the United Kingdom to undertake such an arduous challenge. Possible only, as we have the expertise and experience in organising this type of activity. This challenge is as always an awesome and unforgettable adventure. Starting from Bath on the Friday morning, we embark on our journey to Scotland. Driving for about 8 hours we cover the 400 miles to our overnight accommodation in Glasgow. We rest here and prepare for the first ascent on the following day. 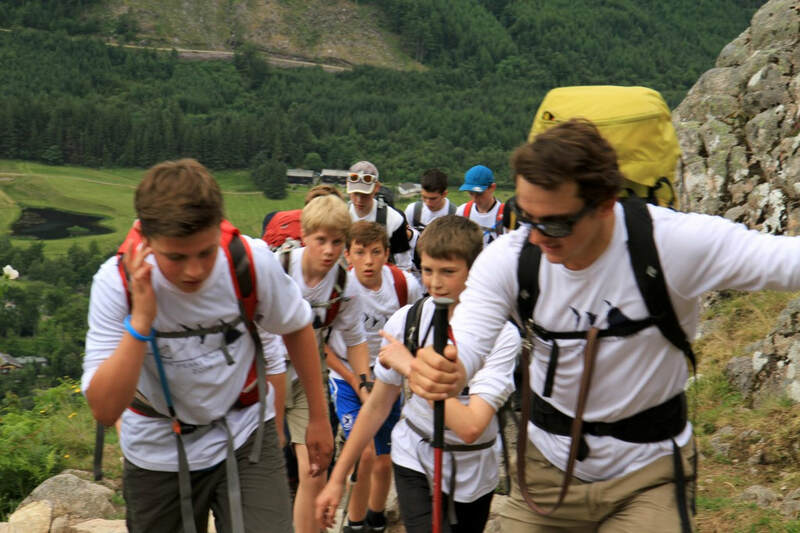 We leave the Youth Hostel by 10:00 for the 110 mile journey that will take us two and a half hours to our first peak, Ben Nevis is the highest mountain in the British Isles at 1344 metres (4409 ft). Unlike our other climbs, the path to Ben Nevis starts close to sea level, meaning much greater vertical ascent. A single path runs up Ben Nevis, from Glen Nevis, which will be followed from Glen Nevis Youth Hostel and then continues to a Loch. Lochan Meall and t-Siudhe. From this half way point, the path follows a zigzag pattern to the summit, which is the collapsed dome of an ancient volcano. We descend after a brief rest on the summit by the same route returning to our transport some six hours after we first set foot on the mountain. We feast before we commence our journey, through the night, to our second peak stopping for occasional sustenance, toiletry needs and sleeping, if possible, in the constantly swaying mini bus. While Scafell Pike has several paths, we will begin at Wasdale Head, to the North of Wast Water. The paths on Scafell Pike are clearly marked on the Ordinance Survey maps and are well marked on the ground. From the Wasdale Head car park we follow the road to the footpath and then follow this over a footbridge and onwards to Lingmell Gill. Here we bear to the left, heading uphill before crossing the river and passing Brown Tongue, and continuing to the peak of Scafell Pike. Our conquest will take some 5 hours. Scafell Pike is at 977m (3206ft) the smallest of the three mountains on the challenge, but the ascent is still 913m (2995ft) and from the start to the summit is just 2.5 miles (4km). We will climb it just as the sun begins to rise and we will then return for breakfast before continuing our journey to Snowdon in full brightness of summer sun. Snowdon stands at 1085m (3560ft), and has many well-trodden paths with varying difficulty leading to our last summit. 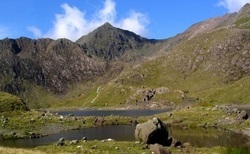 The Three Peaks Challengers will ascend by the Pyg Track route from the car park at Pen-y-Pass, climbing over Bwlch y Moch on the eastern flanks of Crib Goch, before traversing that ridge's lower slopes. Above Glaslyn, it is joined by the Miners' Track for the zigzag climb to Bwlch Glas between Snowdon and Garnedd Ugain. The ascent is a mere 960m (2381ft) and the distance from start point to summit is 4.7 miles (7.5 km). Our ascent will start mid-afternoon, stopping briefly at the summit to take in the glow of slowly setting sun, and then we will descend to our warm dry youth hostel, food and warm beds a short distance away. The Three Peaks Challenge is an arduous challenge and should not be undertaken lightly. Whilst the distances covered and the ascents/descents undertaken are in themselves not over strenuous, it should be noted that they are carried out successively and without substantial periods of rest, in the prevailing weather conditions and in both daylight and at night. The challengers must, therefore, be equipped in the fullest sense to face these challenges. All participants will be expected to attend briefing sessions prior to the event. These sessions will include navigation of the planned route, first aid, emergency procedures and escape routes. A full kit list will be issued and scrutinising checks will be made prior to departure. This will coincide with the final major public briefing of participants and guardians at the school. At any time during any aspect of the challenge, participants may be stopped from further participation and the challenge itself may be terminated based on the Health and Safety Risk assessment at that time. It is therefore unlikely that we will be able to refund any fees paid. With all challenges Beechen Cliff School undertakes, the costs of the challenge are not always met in full by the minimum fee requested. In recognition of this, we ask the participants raise additional funds. Some may go to underwrite any short fall in the logistical costs, but mostly for the donation toward the chosen charity. If your son/daughter would like to participate in the Three Peaks Challenge, please complete the medical form and pay the £85 deposit on ParentPay as soon as possible. This will secure their place. The £200 balance must be paid by Friday , 6th April 2018 as we have to pay for all accommodation in full before the event. Sponsorship raised should be recorded on the sponsorship form provided and collected in after the event, either in cash, ParentPay or via our ‘Just Giving’ page.